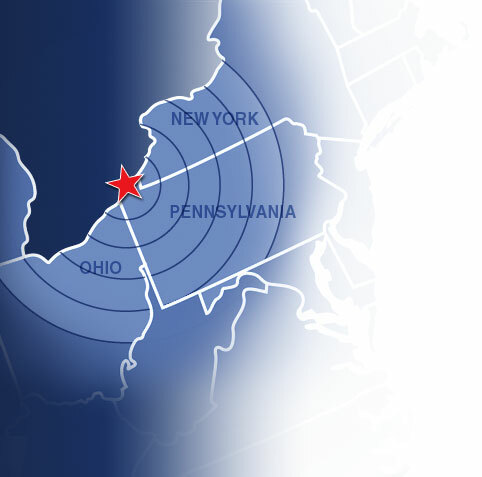 Durst does hauling for small, medium and large corporations, commercial and residential accounts within a 250 mile radius of Erie, Pennsylvania. Pick ups, deliveries or set ups can be done on a moment’s notice or scheduled to support JIT programs. Canadian and overseas shipments can be received, stored and delivered when and where needed. If an emergency arises after regular business hours, we will do everything humanly possible to accommodate our customers. And, no matter when you call, you will be talking to a Durst, not an answering machine. We have been family owned since our founding in 1935 and we treat our customers with honesty and respect.